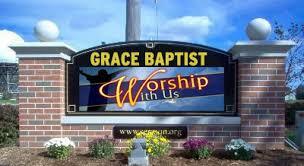 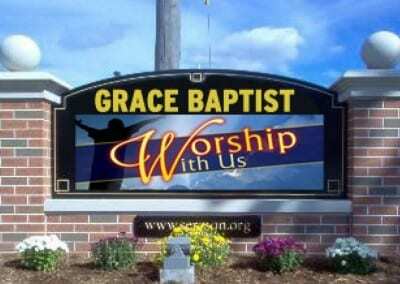 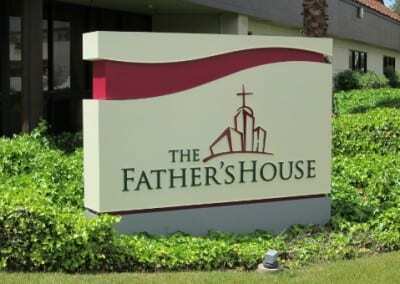 Our church signs experts at United Signs create and manufacture church banners, indoor and outdoor church signs. 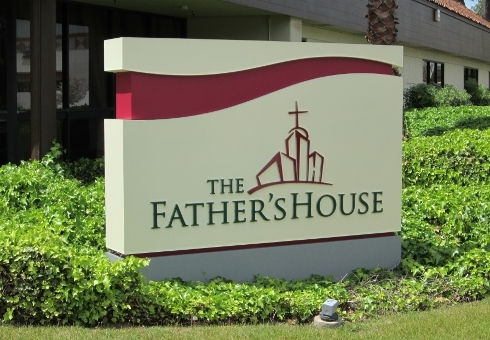 In business for over 30 years, our company knows how to create and fabricate distinctive signage that will increase your church’s visibility. 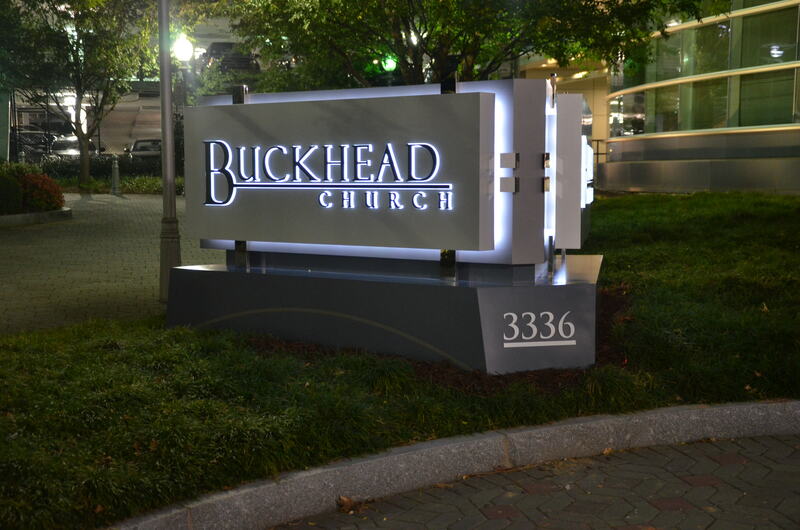 We’ve served the Metro Atlanta Area from our North Georgia facility since 1981, and we look forward to meeting your specifications. 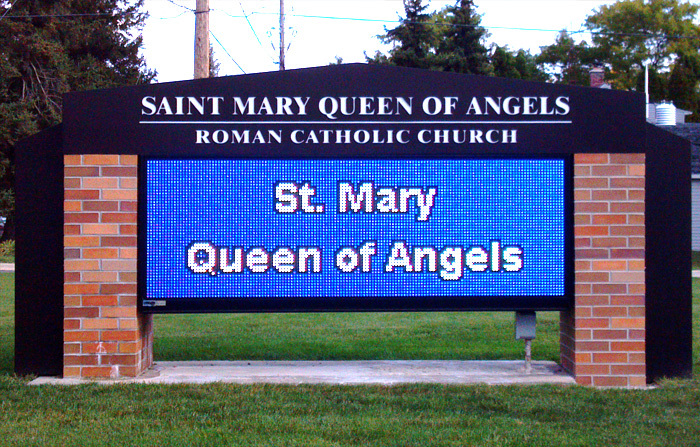 Our customizable service is second to none in cost and quality. 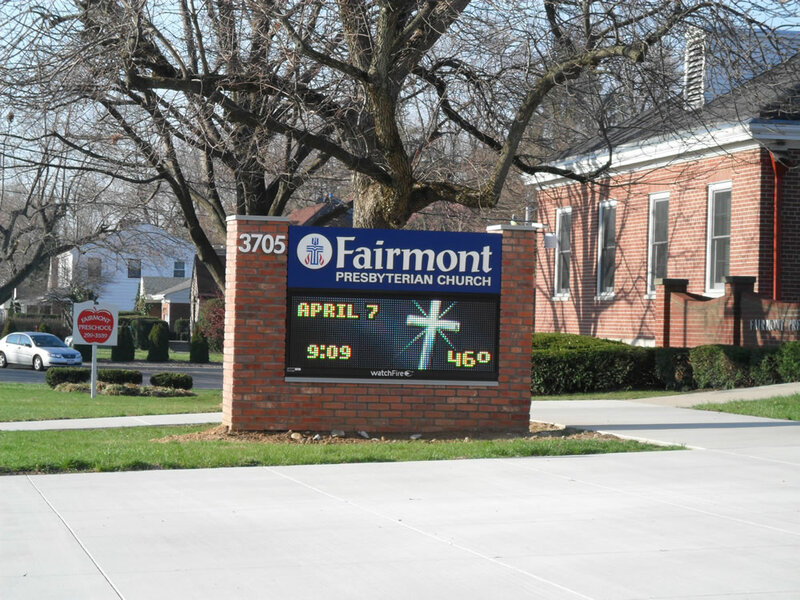 We offer a simple and easy process – we will meet with you to determine your church’s sign needs. 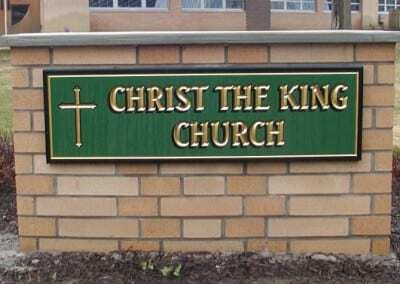 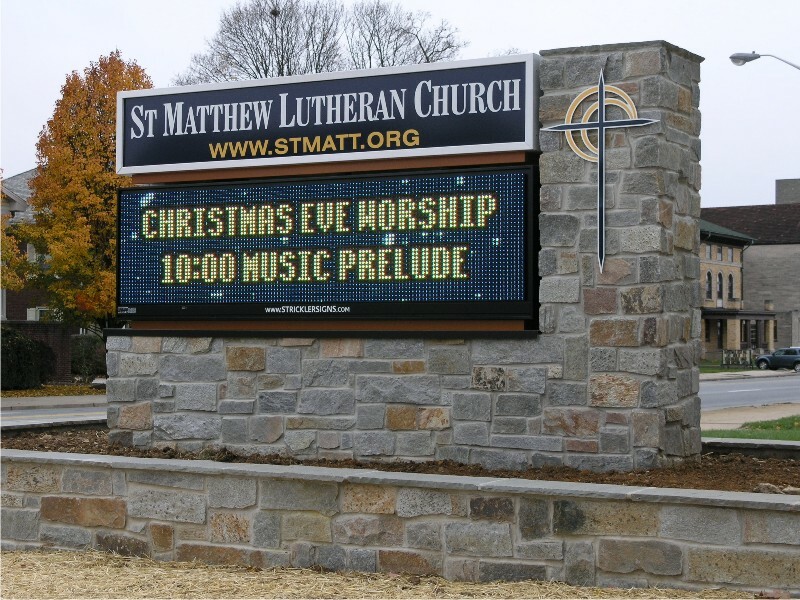 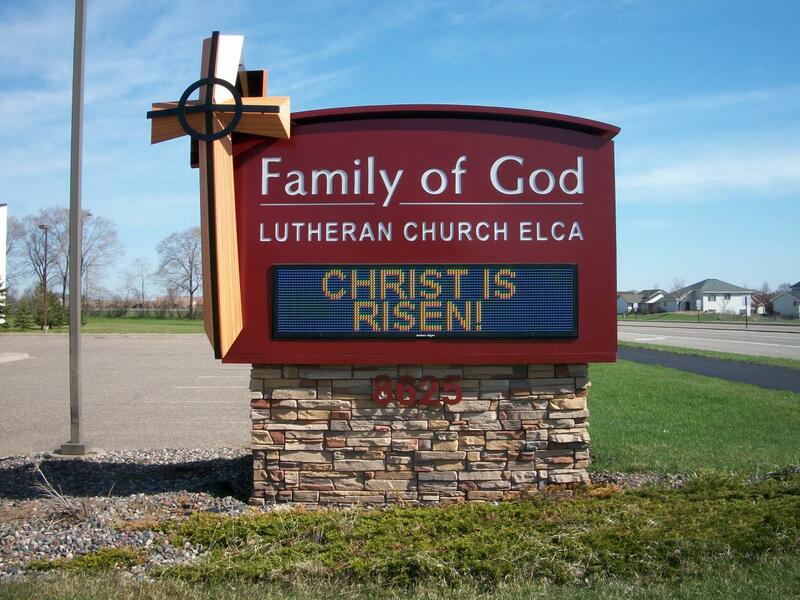 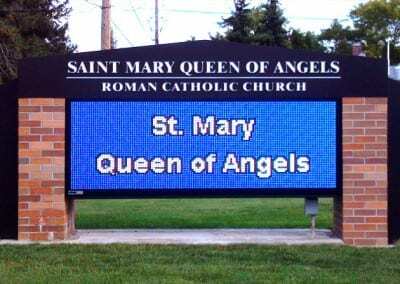 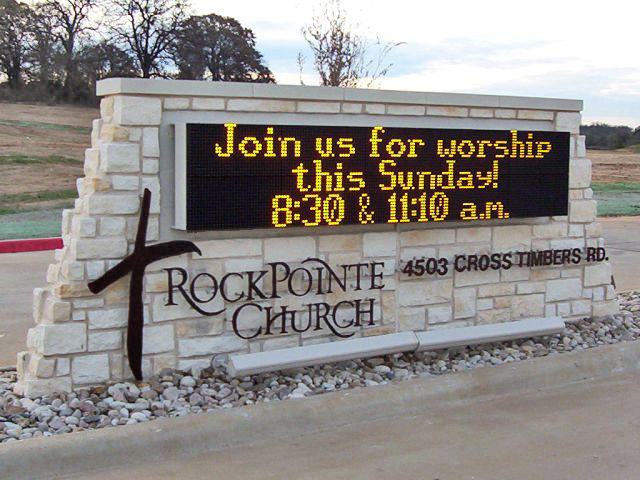 We design and manufacture a variety of types of church signs, including monument signage, LED or lighted wayfinding signage or channel letters and many other types of indoor and outdoor church signs. 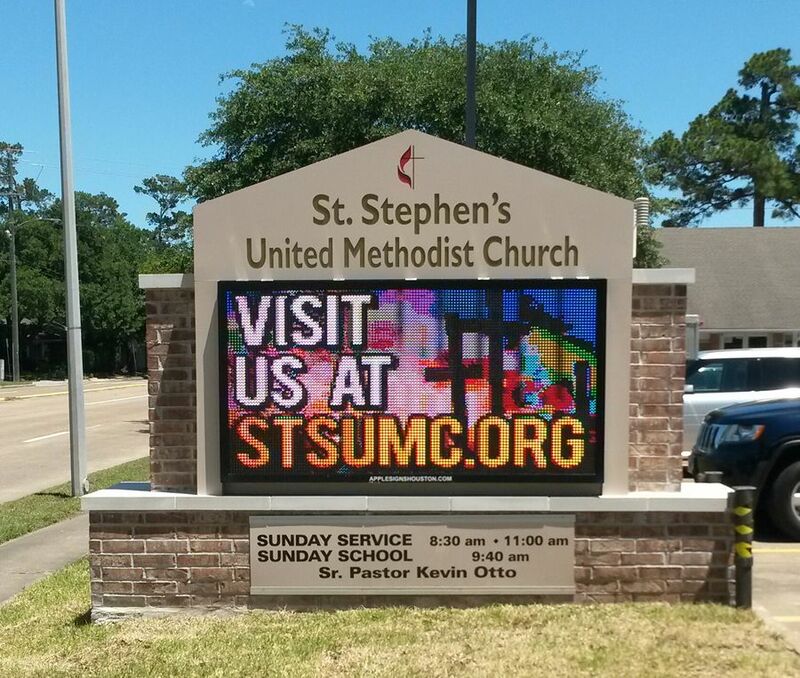 Our high-output printing capabilities allow us to produce the highest-quality graphics and church banners. 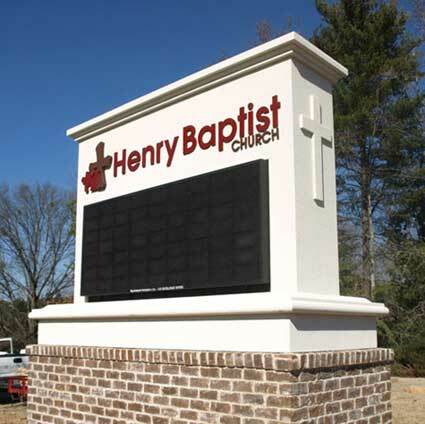 Our Design and Graphics experts will create sign models that consider both your business and aesthetic concerns into account, and our staff will fabricate them in our North Georgia facility. 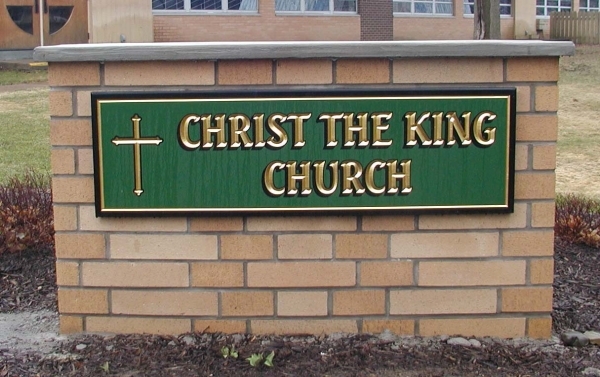 We provide regular maintenance and repair services to guarantee your signage longevity. 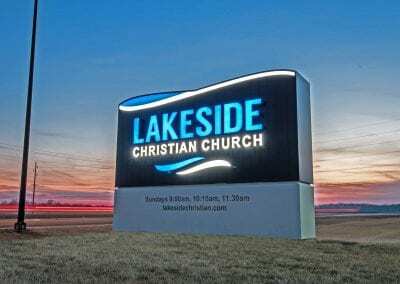 Helping churches by designing, building, installing and maintaining church signs to build congregations is an area of our business we cherish. 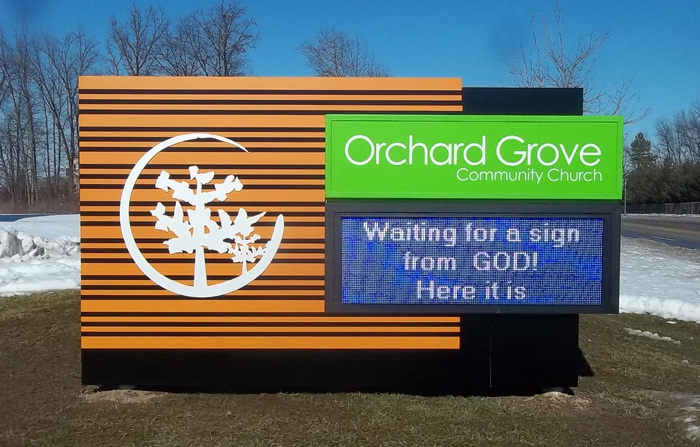 When given the compliment of being selected as church sign manufacturer to help a religious organization, we take pride in helping, in our small way, to bring about positive societal change. 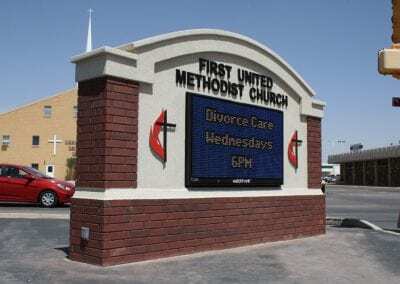 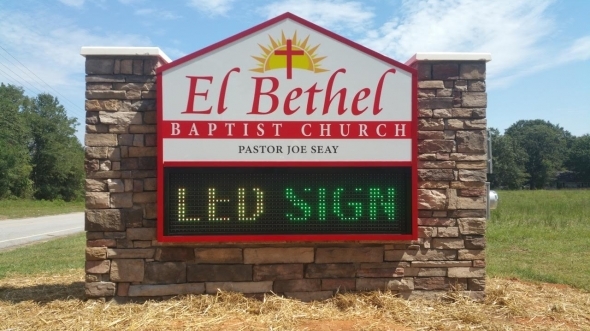 We have been complimented by over 20 denominations with projects.Whether the goal is to communicate with existing church membership, the community or potential church members, United Signs is a custom church sign manufacturer and can design a unique, attractive church sign design for your budget and target market. 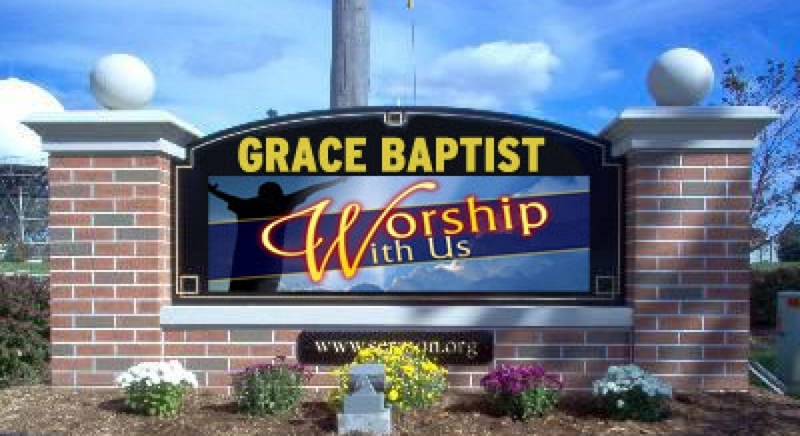 Helping churches by designing, building, installing and maintaining church signs to build congregations are an area of our business we cherish. 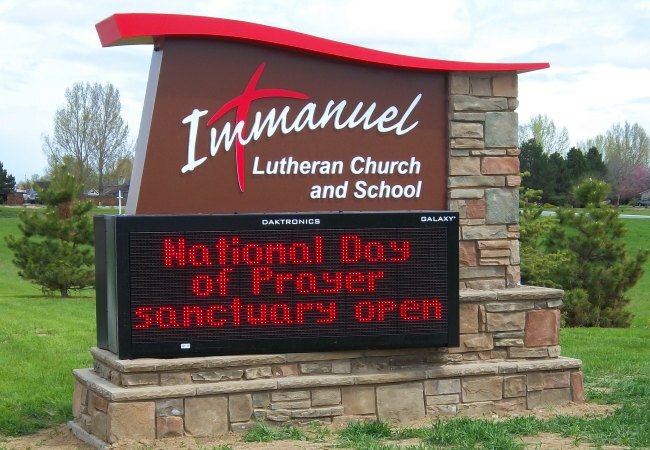 When given the compliment of being selected as church sign manufacturer to help a religious organization, we take pride in helping, in our small way, to bring about positive societal change. 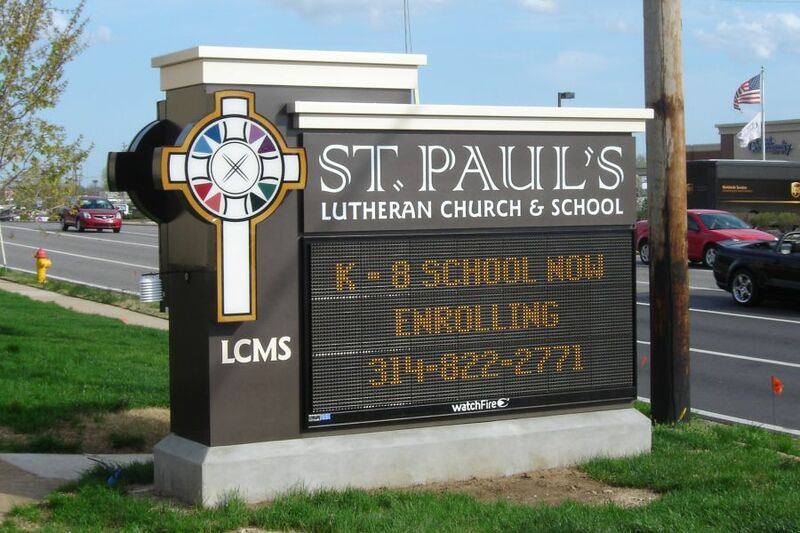 We have been complimented by over 20 denominations with projects. 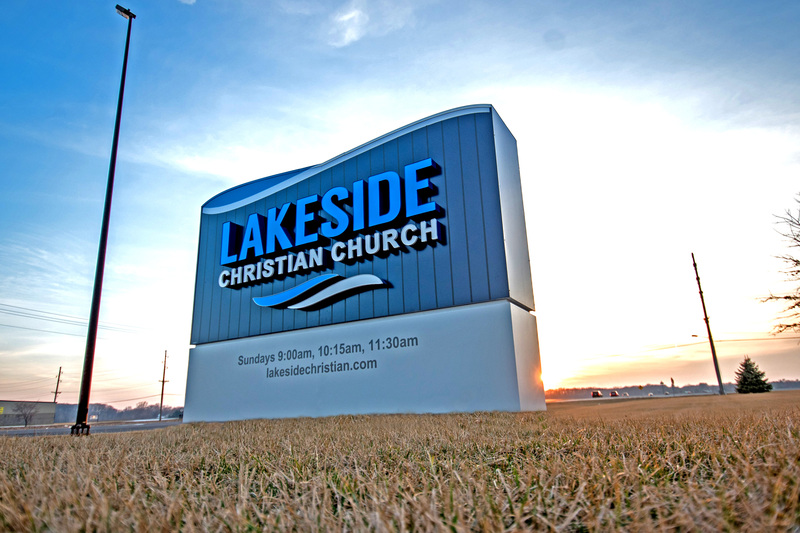 Whether the goal is to communicate with existing church membership, the community or potential church members, United Signs is a custom church sign manufacturer and can design a unique, attractive church sign design for your budget and target market. 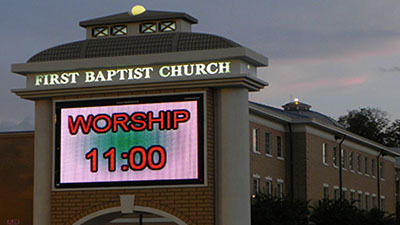 Navigating the interior of large churches can be a challenge. 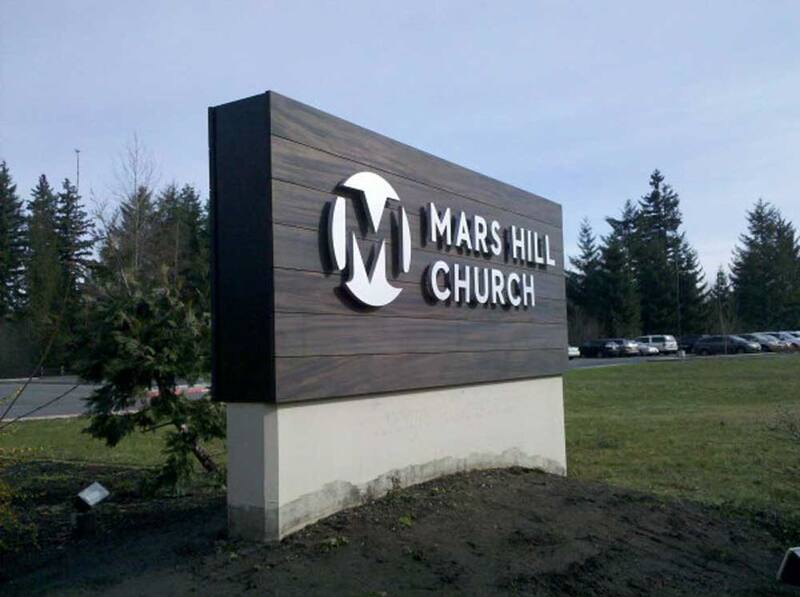 Our interior sign systems can help get you where you’re going. 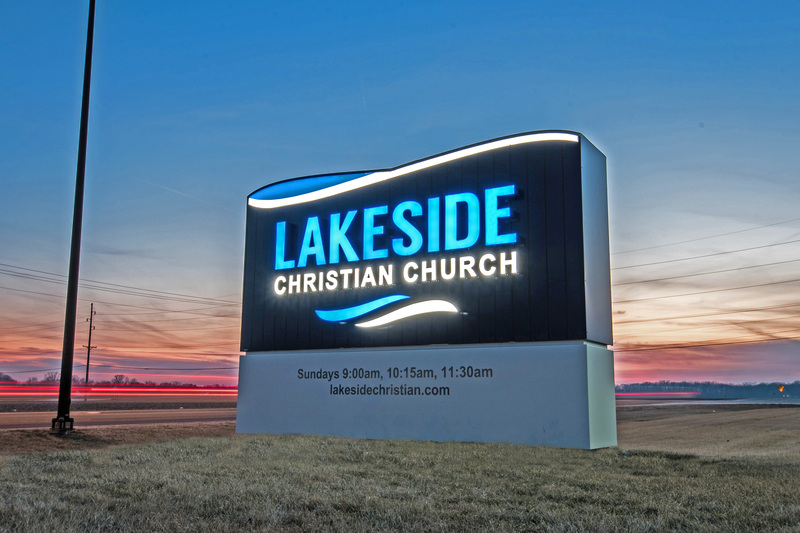 In all of these options you can be assured United Signs will help design and construct the best, most effective option for your organization. 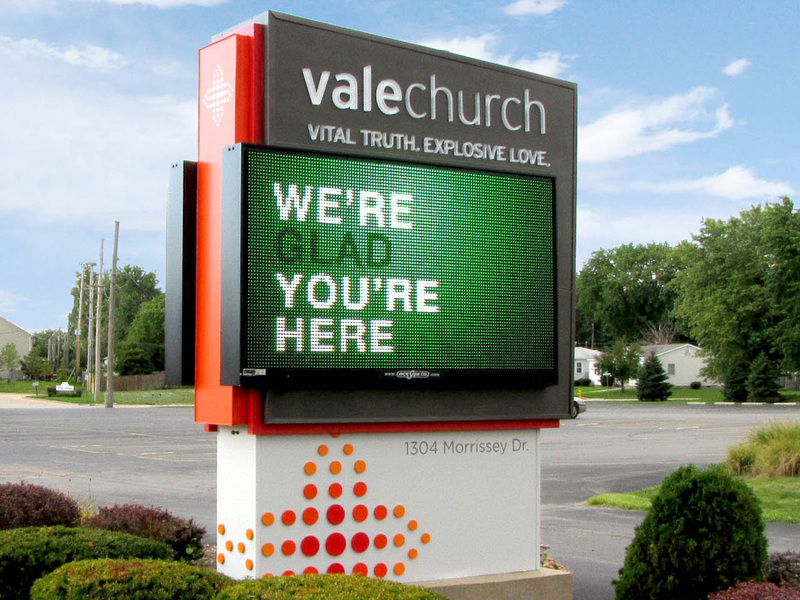 Call United Signs today! 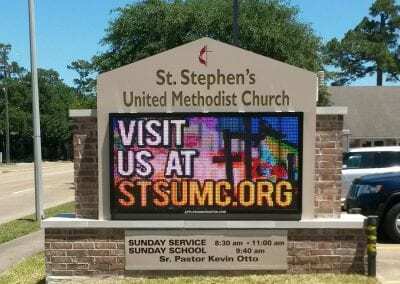 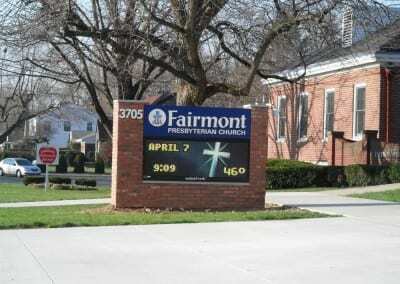 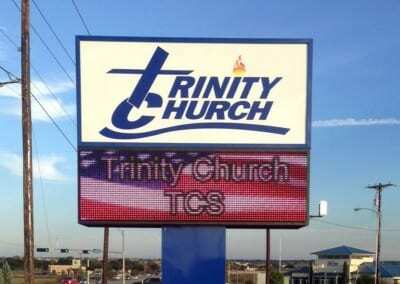 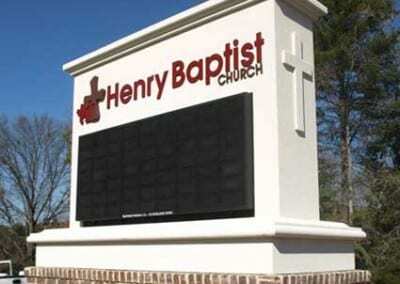 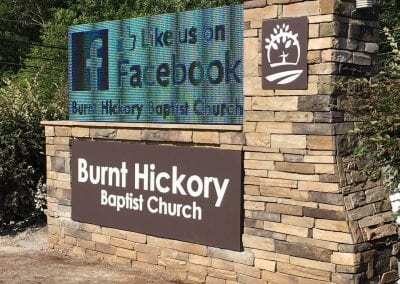 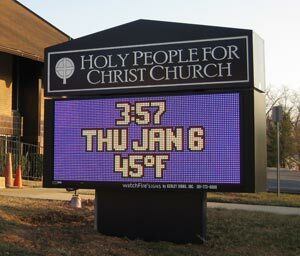 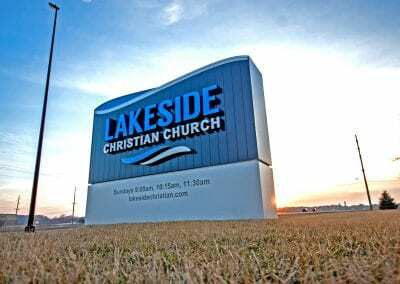 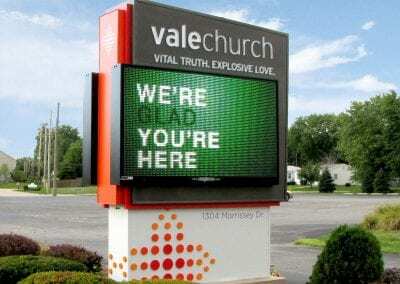 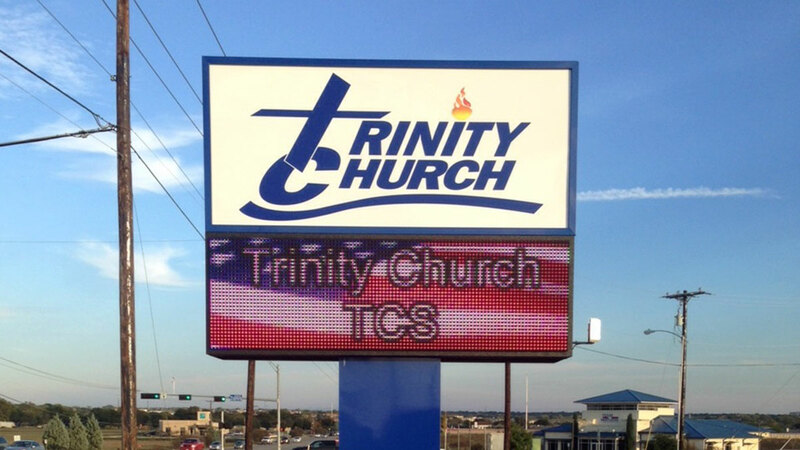 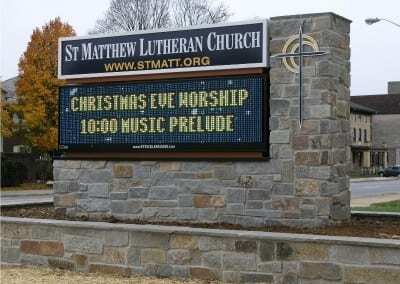 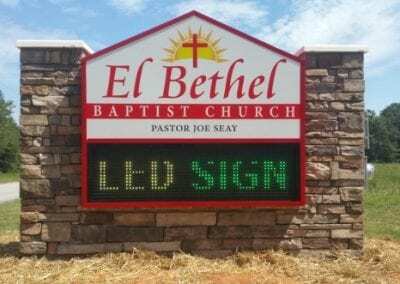 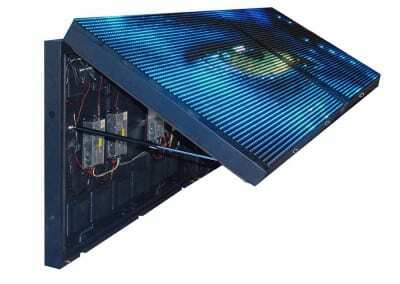 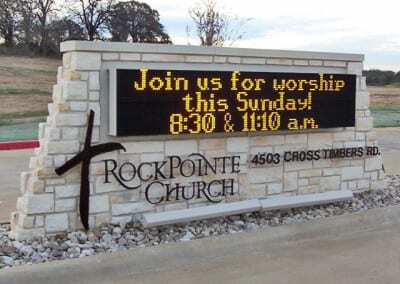 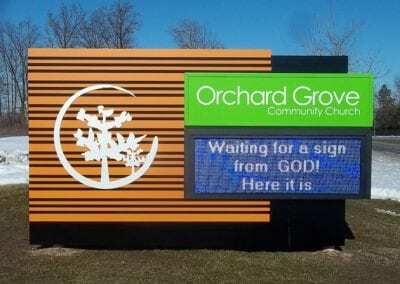 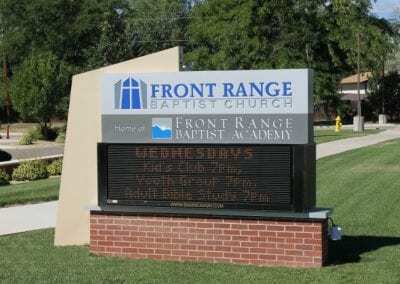 The newest option for churches when it comes to signs is LED signs. 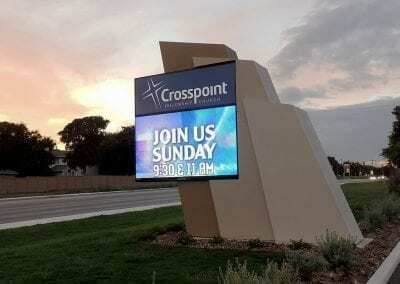 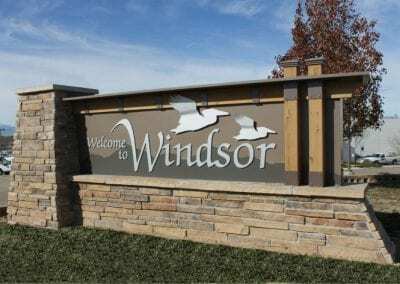 These digital outdoor signs push the envelope on customization of design and add more depth to the message than is available with an outdoor marquee sign. 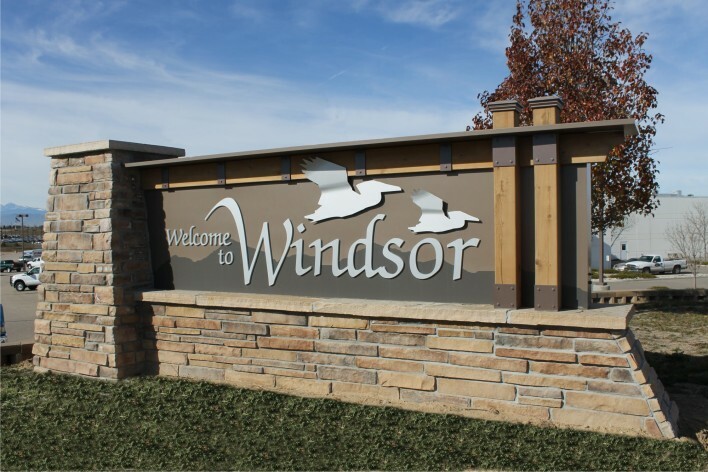 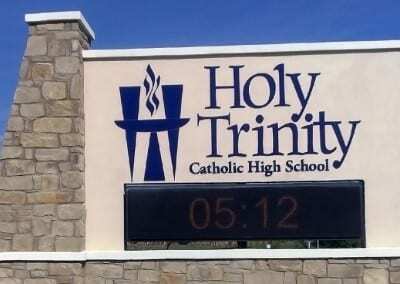 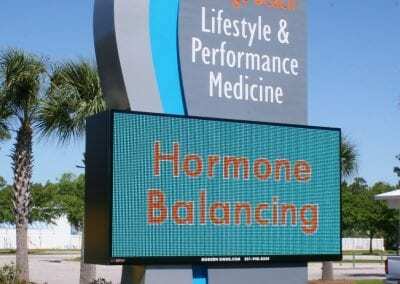 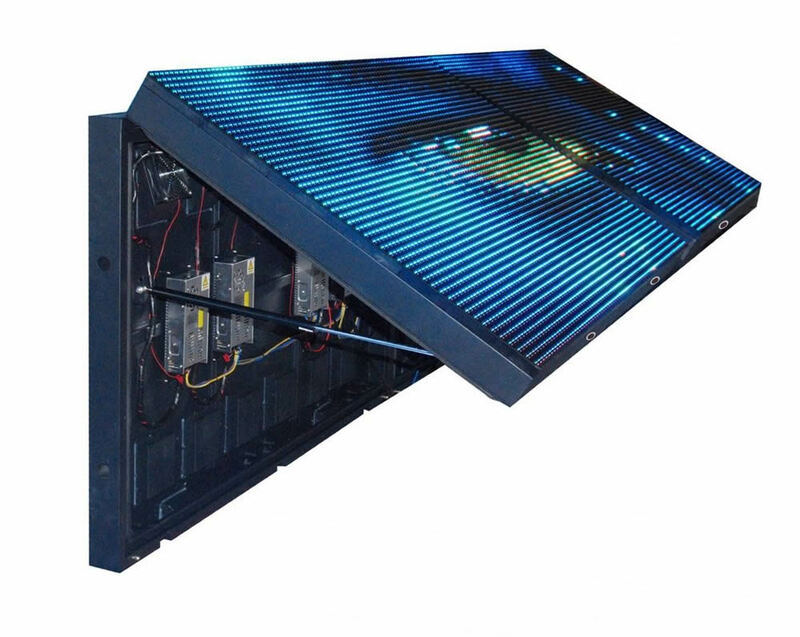 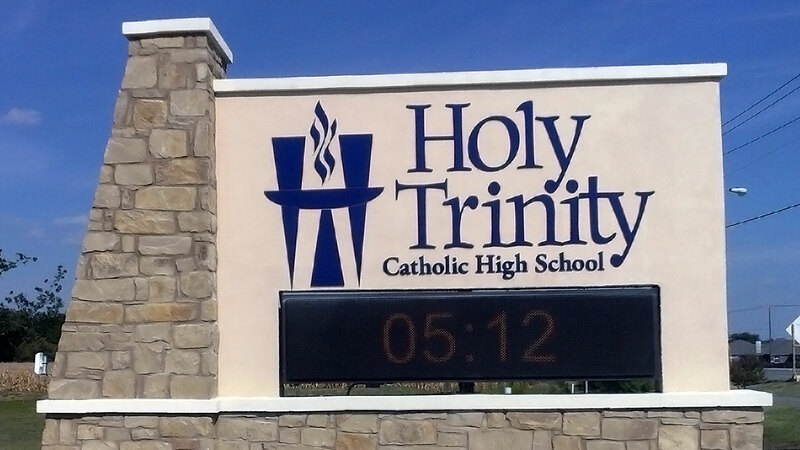 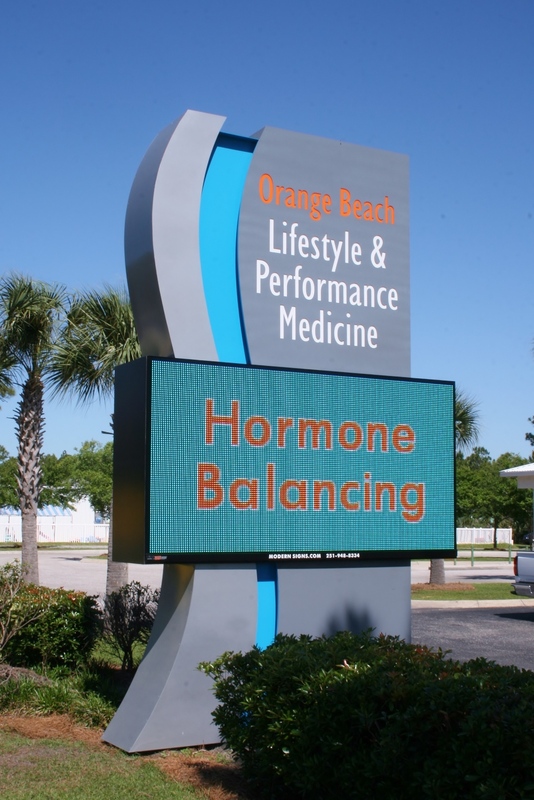 LED outdoor signs allow for imagery and visual content to play a part in community outreach. 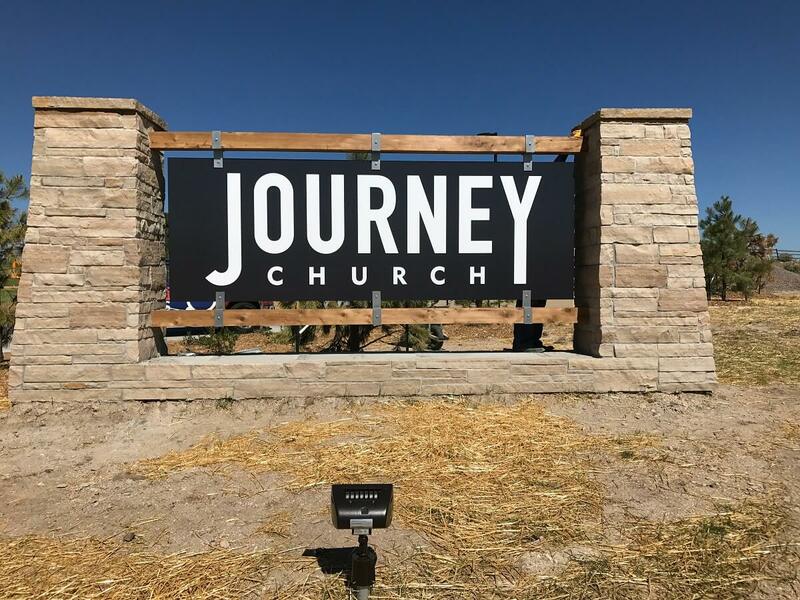 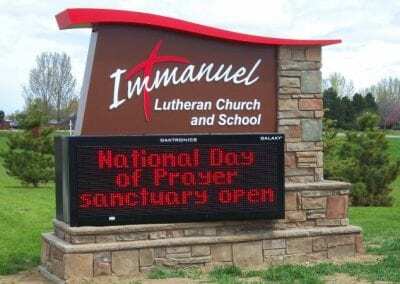 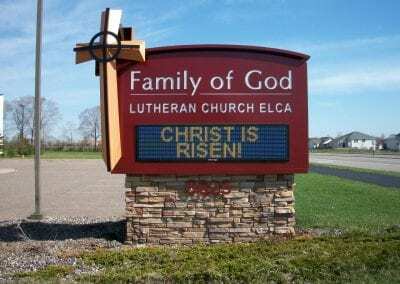 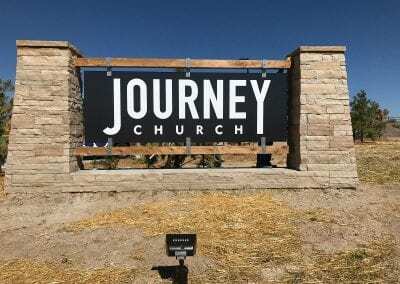 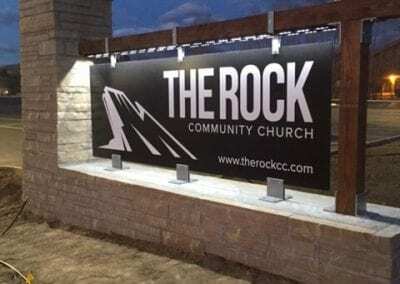 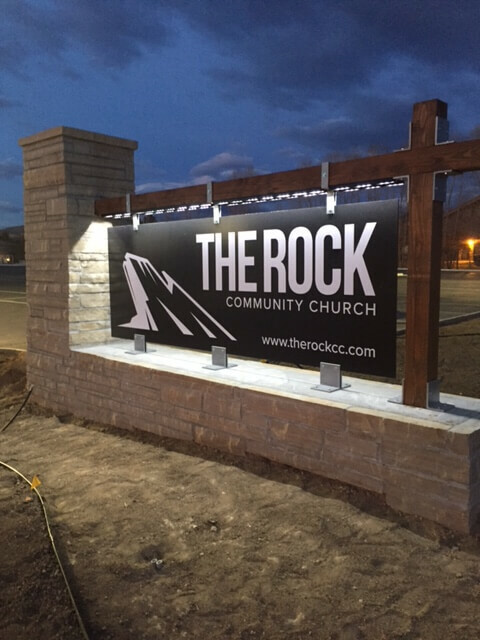 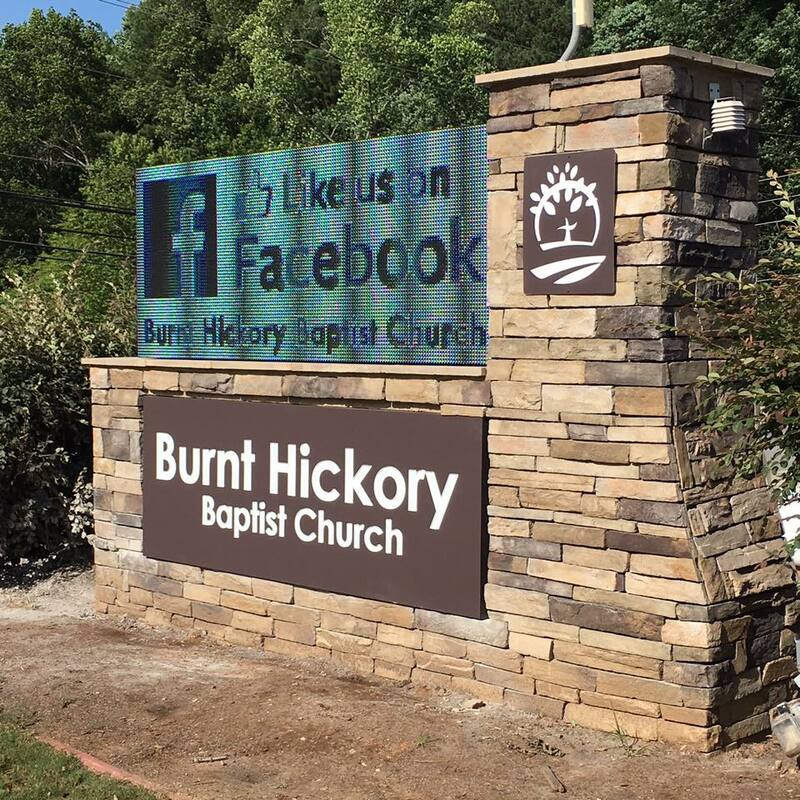 While the outdoor church sign has come a long way, it is vital to keep the value of the church sign in mind when choosing a sign for your congregation and community. 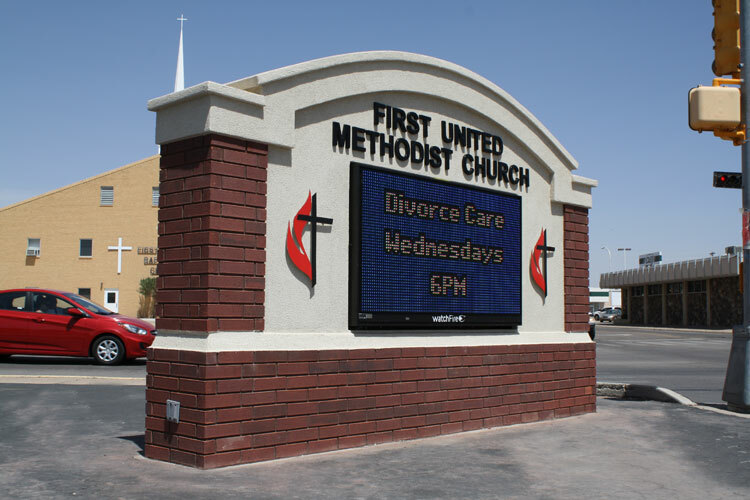 No matter which sign type your church chooses, United Signs is there to guide you through the process. 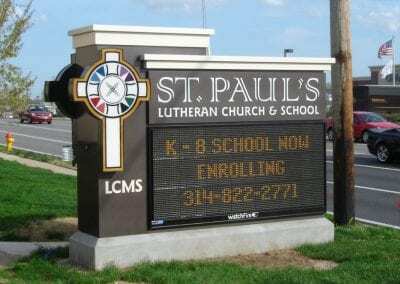 You email or call us and our team will assist with your project.